A flawless finish requires professional tools, and Sigma Brushes are essential for blending blush, sculpting and highlighting powders to perfection. Beloved and endorsed by pro make up artists, these brushes are of the highest quality – starring super-soft synthetic bristles, ergonomic handles and innovative shapes and textures – to make ‘making up’ a breeze. 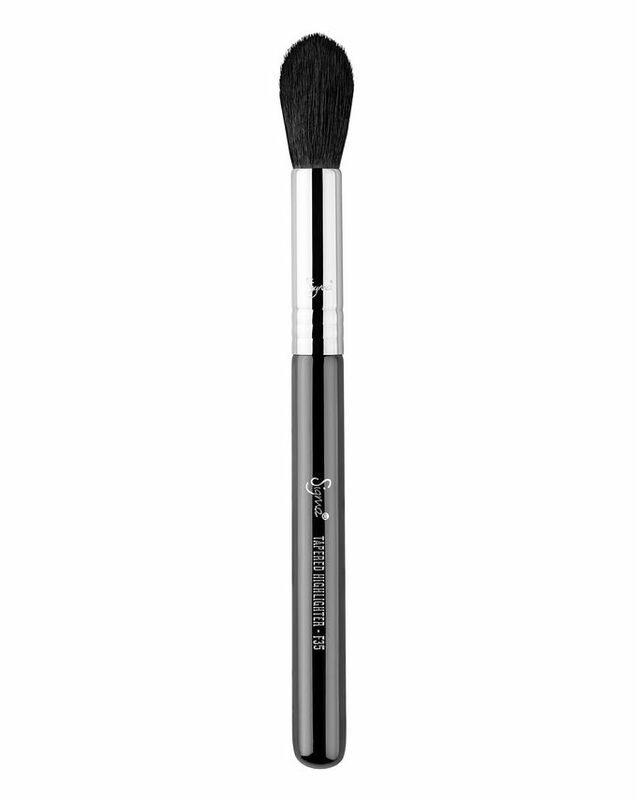 With Sigma Beauty’s exclusive SigmaTech Fibres – synthetic strands designed to outperform traditional animal hair – this Tapered Highlighting Brush (F35) features specialised ‘tips’ to pick up and distribute powder products perfectly. Super-soft and fluffy with a pointed brush head, this is ideal for applying luminiser to the ‘high points’ of your face – cheekbones, brow bones and the cupid’s bow to create a more ‘3D’ effect. Designed to last, the brush handle is made from lightweight, sustainably sourced wood coated with eight layers of paint, while the patented 3-ring brush ferrule is made from high-performance Sigma Alloy for maximum strength and durability. 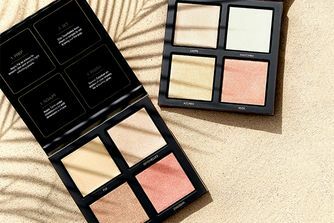 Dust highlighter along the top of cheekbones, brow bones, down the bridge of the nose and cupid's bow to achieve a '3D' effect. To be honest, I decided to buy this brush because of Peony Lim (an influencer) recommendation. Final verdict: a good brush for powder highlighter, picks up optimum amount of powder, subtle finishing. The only con is the silver ferrule, it looks cheap, hence the 4 stars. I love this brush! It is absolutely perfect for highlighting. I love Sigma brushes. Yes, they're more expensive than say Morphe brushes, but I do think the quality is better. The tapered head is perfect for applying highlighter to the top of the cheekbones and creates a beautiful diffused look. Don't forget to tap off the excess highlighter powder though before applying though. Unless of course you want to be spotted from the International Space Station. Great quality brush, no fall out when washing. Prefer this to the Morphe fan brush as it allows for more control over where you're highlighting and the head holds just the right amount of product. That been said you would need a smaller brush to effectively highlight the inner-eye and brow bone. overall, happy to have this in my brush collection. I love Sigma brushes and this tapered head is perfect. The bristles are very soft. This brush is perfect for a diffused yet soft highlighting. I bought it to use it along with my new Huda Beauty Winter Solstice Highlighter Palette and the Huda Beauty 3D Highlight Palette and I am totally satisfied. The bristles are very soft.